With just one round to go in the Last 32, Round 5 proved to be decisive as seven teams punched their Eighthfinals tickets. Among them was PGE Turow Zgorzelec, which also managed to win Group L thanks to a 104-93 home win over Lietuvos Rytas Vilnius. Crucial in that win was Damian Kulig, a player enjoying his breakthrough season, who also claimed MVP honors this week thanks to his 38 performance index rating. 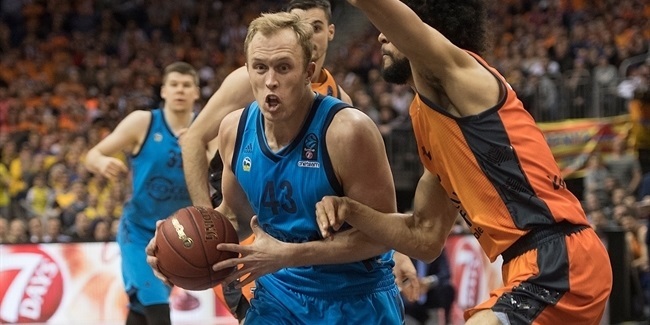 Kulig did it all for Turow on Wednesday as he scored 27 points, pulled 8 rebounds, had 4 steals, dished 3 assists and drew 7 fouls for a complete all-around performance. 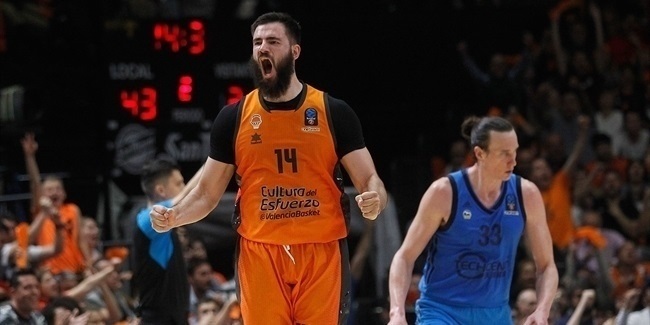 Right after Kulig came FC Bayern Munich's Dusko Savanovic, who also had a monster night with 29 points, 7 rebounds, 1 assists and 2 steals for a performance index rating of 34. Two players of Lokomotiv Kuban Krasnodar, Derrick Brown and Krunoslav Simon, helped the team set a new winning streak record in the competition, 16 straight wins, thanks to respective performance index ratings of 29 and 27. Individual highs: Michael Green close to record with 15 assists! Savanovic, Kulig and Simon were also the top three scorers of the week thanks to his good performances. The first player after them was Jermaine Flowers of CSU Aseosft Ploiesti thanks to his 24 points, the same amount as Lamont Hamilton of Kransy Oktyabr Volgograd. Adrien Moerman of Limoges CSP was huge under the glass with 13 rebounds and Loko's Richard Hendir z followed suit with 12 of his own. 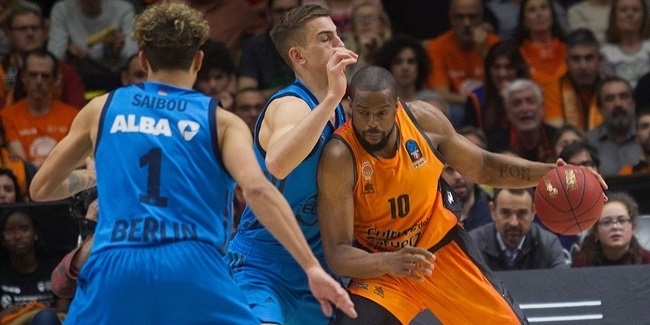 Michael Green of Paris Levallois tied for the second best mark ever in assists in the Eurocup, 15, and was just 1 decisive pass short of matching the 16 record set by Omar Cook of Buducnost VOLI Podgorica earlier this season. Finally, two players tied for 3 blocks, the best mark this week: Sharrod Ford of Paris and Trevor Mbakwe of Brose Baskets Bamberg.